Property investments in Barcelona are not expected to do well this year according to the ‘Emerging Trends in Real Estate Europe 2012’ report by consultants pwc and the Urban Land Institute. Barcelona, ranked 23rd out of 27 European cities for real estate investment prospects this year (see chart above), has a poor outlook for both existing investments and new development. New investments, on the other hand, have a fair outlook. 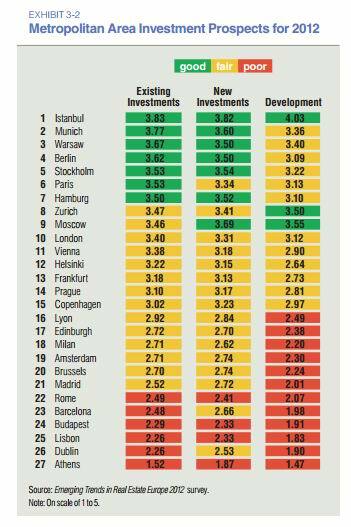 Madrid does marginally better, ranked 21st, with fair prospects for both existing and new investments. 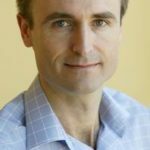 A separate survey by property consultants CBRE reveals that just 3.5pc of European investors are prepared to invest in Spanish property this year, compared to 9pc last year. On that basis alone it might be time to start looking at Spanish property as an investment.